Legendary lineup at this year’s Comic-Con was pretty…legendary. Legendary started off their presentation with Guillermo del Toro’s new horror film, Crimson Peak. It’s about a girl (Mia Wasikowska) who falls in love with mysterious man and moves into his haunted-looking mansion. She encounters strange events and slowly uncovers the dark forces of nature that have taken residence. The panel was moderated by Nerdist’s Chris Hardwick, who introduced director/writer Guillermo del Toro and cast members Tom Hiddleston, Jessica Chastain, and Mia Wasikowska. During the panel, Guillermo del Toro mentioned that he always wanted to make a classic gothic romance, but also wanted to make the film really scary. The rest of panel explained their characters and how thorough del Toro was in preparing the cast with a background story for each of their characters. It was also announced that Universal Studios will have the Crimson Peak: Maze of Madness at Halloween Horror Nights in Hollywood. Finally, they ended this panel with a Q&A with the audience. 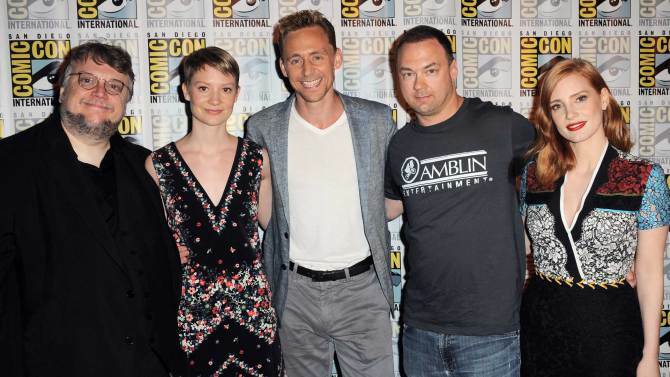 To find out more about the film, you can watch the entire Hall H panel below. Have you ever imagined that there was a dark figure that preys on naughty children during Christmas? Well, Michael Dougherty and Legendary brought this mythical figure based on an Austrian folklore called Krampus to the big screen. Moderator Chris Hardwick introduced director/writer Michael Dougherty and cast members Toni Collette and Adam Scott. 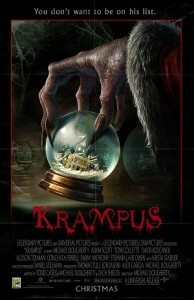 They describe the movie beginning as a John Hughes film, but one which slowly turns into horror show when Krampus appears. They also explained their characters and how they all felt like a traditional dysfunctional family. Finally, the biggest unveiling of Legendary’s presentation, Warcraft. Legendary and Blizzard finally bring this epic video game saga to the big screen. 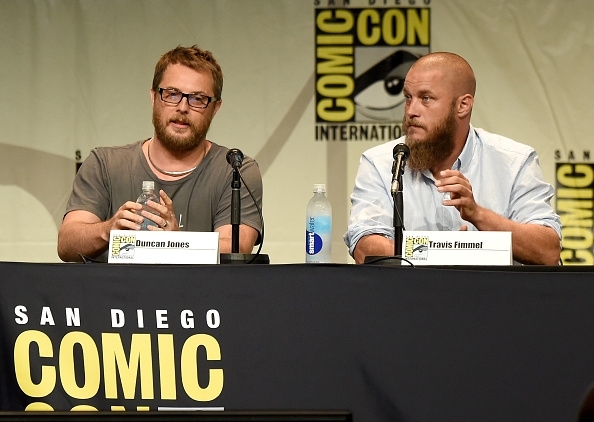 In the panel, Hardwick spoke with director Duncan Jones, cast members Travis Fimmel, Paula Patton, Dominic Cooper, Toby Kebbell, and more. The cool part was that when Hardwick called out each of the actors, they would get a short intro video of their character. They also introduced the two main factions, who are warring against each other: the Alliance, which are mostly represented by the humans, and the Horde, which is represented by the orcs. They didn’t really speak much about the story and roles of the characters, focusing the discussion on the filming process. One part that stood out to me was the costume work by Weta Workshop. All of the different armors and weapons throughout the small introduction clips were outstanding. If you want to more info about the different characters in Warcraft, check out this video from Comic-Con.